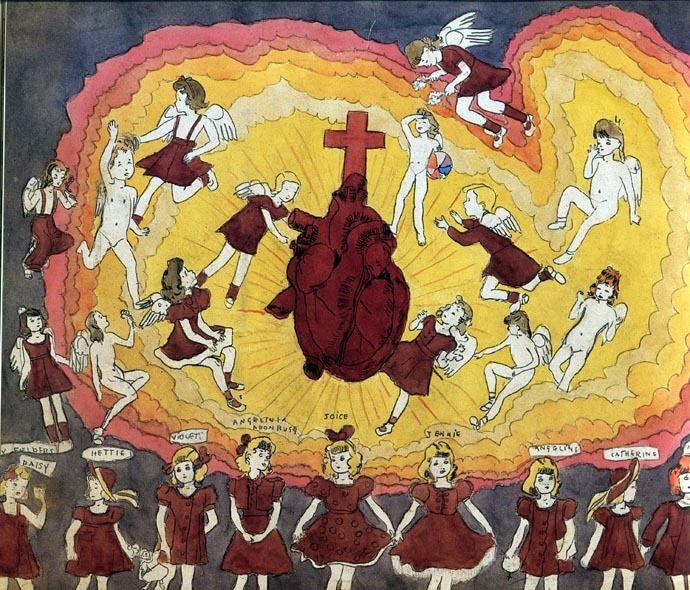 Henry Darger (1892–1973), one of the most prominent artists of the twentieth century, lived and worked for more than forty years in a rented room in Chicago’s Lincoln Park area, where he created an imaginary world for his personal satisfaction. Shortly before he died, Darger’s artwork was discovered, and subsequently made public, by his landlord, the artist and designer Nathan Lerner. What Lerner found were four unpublished manuscripts comprising more than thirty thousand pages of text; more than three hundred watercolor paintings that are often longer than nine feet; and thousands of ephemera Darger collected and used in his artistic process.